This Sunday Sketch is of Tinuvielle as a My Little Pony. She is a Unicorn because she is a magic-user. 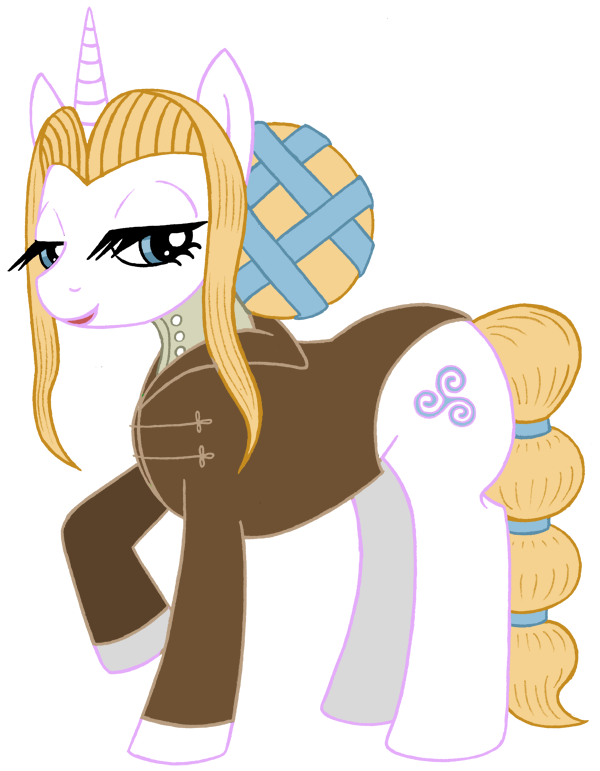 Her Cutie Mark is the Celtic symbol for female power, or to put it in more modern terms: Girl Power!